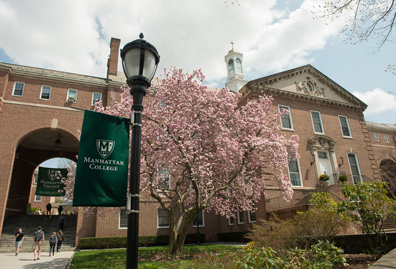 If green is Manhattan College’s signature color, then its signature sound is the bagpipes — a musical tradition our Pipes and Drums band has carried on with flair since 1981. 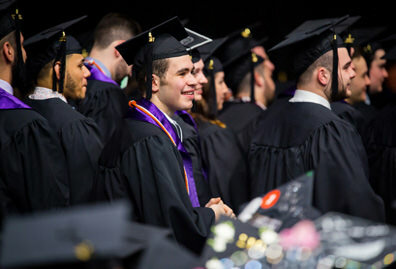 Since then, current students, alumni, and friends have performed with the band at engagements throughout the year, highlighted by the annual march up Fifth Avenue in New York City’s St. Patrick's Day Parade. 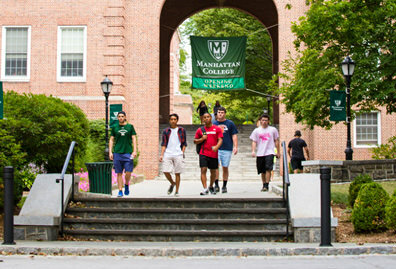 Manhattan College's award-winning Pipes and Drums band is the longest-participating college marching unit in this parade, and has appeared on local and national television broadcasts. 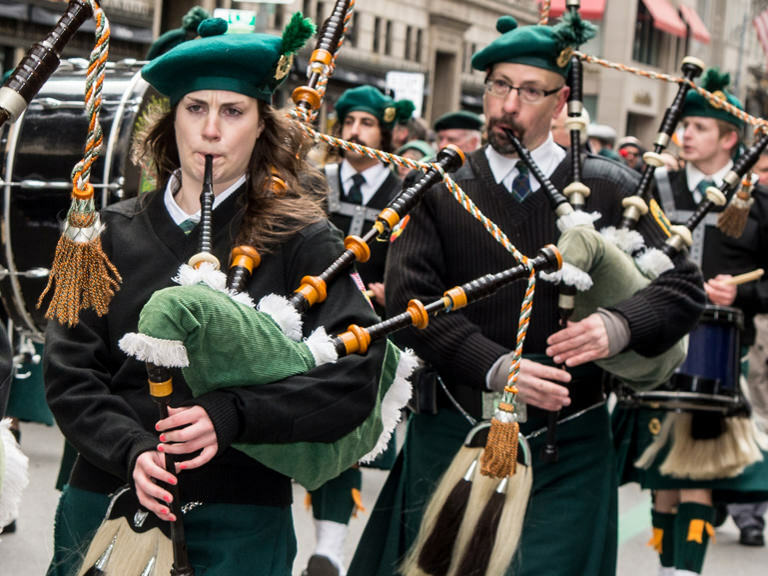 In addition to appearances in St. Patrick’s Day parades throughout the New York metropolitan area, the Pipe Band also marches in the Naples St. Patrick’s Day Parade, thanks to the support of many Florida alumni. 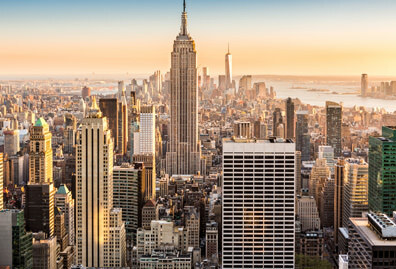 The Pipes and Drums have also performed at Roseland Ballroom in New York City, opened for the Mighty Mighty Bostones at the Izod Center in New Jersey, and have even taken the stage at the world-renowned Carnegie Hall. Whether you’re Irish or not, all members of the College community are welcomed to audition for the Pipes and Drums. 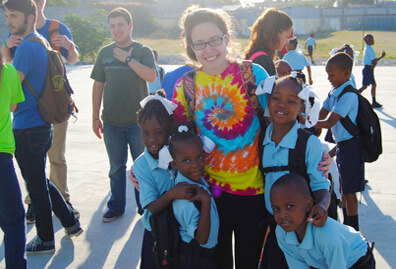 New members without any previous experience are recruited every two years. Practices are held weekly on Thursdays throughout the academic year in the performing arts room (5th floor of Thomas Hall), from 7:30 –10 p.m. For information on joining the Pipes and Drums, email the club directly at pipesanddrums@manhattan.edu.